To provide the surviving widow/widower or other designated next of kin assistance in time of need, the Survivorship Fund was established. The benefit is a fixed regular and reasonable stream of funds for a limited period of time and given, when applicable, on top of the existing death benefit provided under the CBA. The employers, through their Philippine manning agents, shall remit to the Benefit Fund US$5.00 per seafarer covered by CBA. The monthly contribution shall be remitted to the designated account which is maintained with a depository bank. The Fund is administered and implemented by a Board of Trustees in accordance with the implementing rules and regulations of the Fund. The Board of Trustees is composed of representatives designated by the Union and by participating companies/ship owners. The Fund is available under the CBAs of IBF JSU/AMOSUP-IMMAJ, IBF-AMOSUP/IMEC TCCC, AMOSUP/ITF TCCC NON-IBF, Norwegian International Ship Register (NIS) and Norwegian Model Agreement. The program was negotiated and established by the Union with social partners in 2006. In connection with appendix 2-1 of the IBF JSU/AMOSUP-IMMAJ Collective Bargaining Agreement and appendix A of the ITF-JSU/AMOSUP Collective Bargaining Agreement for Filipino Officers and Ratings, a pension fund known as the JSU/AMOSUP Widow/Widower Survivorship Pension Fund (the “WSPF”) was established. The aim of this WSPF is to provide, through a pension fund to be established by AMOSUP through the Board of Trustees of the JSU/AMOSUP Widow/Widower Survivorship Pension Fund and with the Trustee for the payment of a fixed regular and reasonable stream of funds for an appropriately limited period of time to help assist the surviving widow/widower or other designated next of kin of Seafarers as part of the benefits under IBF JSU/AMOSUP-IMMAJ CBA or ITF-JSU/AMOSUP CBA covered vessels, subject to the following terms and conditions. This Rules and Regulations governing the WSPF shall be effective as of date of its approval and adoption. The following words and phrases, as used herein,shall have the meaning indicated, unless a different meaning is plainly required by the text. (l) “CBA” as used herein shall refer to the IBF JSU/AMOSUP-IMMAJ collective bargaining agreement and ITF-JSU/AMOSUP collective bargaining agreement. (m) “Whenever used herein, the masculine pronoun shall be construed to include the feminine gender, the singular number to include the plural, and the plural to include the singular, unless the context indicates otherwise. Any Seafarer who is a member of AMOSUP working on board CBA covered vessels as of 1 January 2006 is covered by the WSPF as of such date, subject to the provisions of letter (f) Article II of this WSPF. Any seafarer not covered by the WSPF as of 1 January 2006 and any seafarer thereafter employed under an existing CBA after such date, shall be covered by the WSPF on the first day of the month coincident with or next following his working on board an CBA covered vessel as a Seafarer as defined in letter (f) Article II of this WSPF. b) A monthly pension of DOLLARS: THREE HUNDRED SEVENTY FIVE ($375.00) for a fixed non-extendible period of sixty (60) months in case the deceased Seafarer is an officer. The payment of the foregoing benefit shall be subject to any and all applicable taxes or similar fees and charges, unless a contrary final ruling is issued by the Bureau of Internal Revenue or any appropriate taxing authority or agency of the Philippine Government. The monthly pension shall be subject to review and may be adjusted by the Board of Trustees. Unless otherwise determined by the Board of Trustees, no death benefit however shall be paid to the designated beneficiary unless remittances by the Employer of the monthly contribution to cover the deceased Seafarer at the time of his death are complete or made current and up-to-date. Payment of the monthly pension shall be made to the account opened and maintained by the Beneficiary with any branch of the Trustee Bank. Should the death of a Seafarer arise on account of self-inflicted injuries, suicide, or any criminal act attributable to him, no benefit under this WSPF shall be paid to the Beneficiary. d) In the absence of the foregoing, any other person or entity named by the seafarer. Every nomination or appointment shall remain in force until the death of the nominee or appointee or until revoked by the Seafarer making it by delivering to the Board of Trustees an instrument of revocation in the prescribed form. In the event of death of his designated beneficiary, the Seafarer may nominate or appoint another person or persons as his beneficiary, in accordance with the foregoing provisions. Should there be more than one designated beneficiary, the benefit shall be shared equally by all of the designated beneficiaries jointly in a single account with the Trustee as provided for under Article IV (Sec. 1). 3.1 After the death of the Seafarer, the monthly pension shall commence to be paid twenty four months following the valid and due payment of the death compensation in accordance with Article 29 of the existing IBF JSU/AMOSUP-IMMAJ CBA and Article 20 of the existing ITF-JSU/AMOSUP CBA; provided however, that pending final resolution of any action or dispute arising from such payment of the death compensation, no monthly pension under this WSPF shall commence to be paid. When payable, the monthly pension shall be paid to the beneficiary or beneficiaries named by the deceased Seafarer in the existing nomination on file with the Board of Trustees or his presumed beneficiary or beneficiaries as provided for in Sections 1 and 2 above. 3.2 If a beneficiary is a minor or is declared judicially incompetent, payment to his legal guardian shall be deemed as if made to the beneficiary in person and shall discharge the Fund from liability to the extent of the amount paid. However, in no case will the beneficiary be entitled to any interest on the amount of the benefit during the period that payment was deferred because of the absence of a judicial guardian. 3.3 Upon the remarriage of the surviving legitimate spouse, who was named as a beneficiary, the latter shall immediately lose the right to receive the unpaid balance of the monthly pension benefit, which shall be forfeited in favor of the Fund. The Fund shall be reimbursed for any payments made to and received by the surviving legitimate spouse in bad faith after such remarriage. The funding of the WSPF and payment of the benefits hereunder shall be provided for through the medium of a Trust Fund held by the Trustee and covered by an appropriate Trust Agreement. The contributions to the Trust Fund, together with any assets, liabilities, income, gains or losses, less expenses and distributions, shall constitute the WSPF. 2.1 Contribution to the WSPF shall come from the Employers through their respective manning agencies in the Philippines, which provides for a contribution to the Fund at the rate specified in the CBA. 2.3 The total monthly remittances to the Fund shall be exclusive of any bank fees, charges and expenses whatsoever, which shall be for the account of the employer. 2.4 The other details of the process, funding and documentation flow of the monthly remittance of contribution to the Fund and the payment of the pension benefit by the Fund not otherwise inconsistent herewith shall be made in accordance with, but not limited to Appendix “1” hereto, which is an integral part of this WSPF. All contributions made to the Trust Fund shall be used for the exclusive benefit of the Seafarers’ beneficiaries and for related administrative expenses under the WSPF as approved by the Board of Trustees. Contingent upon expected Fund liability, the Board of Trustees may extend assistance under this WSPF at appropriate amounts it may determine to the beneficiaries of those Seafarers who died on board other vessels but have accumulated sea service under the CBA of at least five years on board covered vessels. Although it is expected that the WSPF will continue indefinitely, it may be modified, amended, suspended, or terminated at any time by the Board of Trustees as economic conditions may warrant or as may be provided for in the CBA. In no case, however, shall such modification, amendment, termination or suspension be effected in order to permit any asset of the Trust Fund to be used for, or diverted to, purposes other than for the exclusive benefit of the Seafarers Beneficiaries and for related administrative expenses under the WSPF as approved by the Board of Trustees, nor shall it be applied retroactively so as to adversely affect or reduce in any way the benefit accrued to any Seafarer Beneficiaries on account of service prior to the date of such amendment, suspension or termination. In no event shall any part of the assets of the Trust Fund revert to AMOSUP or the Seafarers’ employers. The WSPF will be administered and implemented by the Trustee Bank in accordance with this Rules and Regulations and such other rules, guidelines and terms of reference as may be issued by the Board of Trustees. The members of the Board of Trustees shall elect from among themselves the Chairperson and such other officers, as it may deem necessary and proper to designate. 2.2 The Board of Trustees shall set the rules, guidelines and terms of reference for remittance collection, general fund administration, investment management and pension annuity payments of the Fund. It shall authorize the engagement of Fund administrator/s, investment manager/s, payments agent/s and such other agent/s as may be required and necessary to implement and achieve the purposes of the Fund. 2.3 In case of the termination of the WSPF under Article VII when after all liabilities under the WSPF have been paid, all residual assets of the Fund shall be distributed in accordance with the instructions of the Board of Trustees provided that such residual assets shall not revert to AMOSUP or the Employers but shall be used for the benefit of the Seafarers. No benefit payable under this WSPF shall be subject in any manner to anticipation, alienation, sale, transfer, assignment, pledge, encumbrance, or charge and any action by way of anticipating, alienating, selling, transferring, assigning, pledging, encumbering or charging the same shall be null and void. 4.1 No Seafarer or beneficiary shall have the right, title or interest in or to any part of the assets of the WSPF except as and to the extent expressly provided in the WSPF Fund. 4.2 Any person rights or claim rights under the WSPF shall be restricted within the assets of the WSPF and shall not affect any other assets out of the WSPF. Nothing contained in these Rules and Regulations shall be deemed as a limitation on the inherent powers and prerogative of the Board of Trustees. The Board of Trustees shall appoint an independent auditor to perform an annual examination of the books of account of the WSPF and WSPF Fund, and at such other times as may be determined by the Board of Trustees. Following the audit, the Board of Trustees shall make available copies of the audited financial report to concerned parties. Whatever benefits may be due to the Seafarer on account of the Social Security Act and the Employee’s Compensation under the State Insurance Fund as provided for in the Labor Code existing as of the effective date of the WSPF shall not be deducted from the benefit granted under this WSPF. The Rules and Regulations of the WSPF have been designed to meet the requirement of the Bureau of Internal Revenue regulations as a tax-qualified plan. AMOSUP reserves the right to amend any provisions of the WSPF in order that it may obtain and/or maintain its tax-qualified status in accordance with the present and future Bureau of Internal Revenue Regulations. The laws of the Republic of the Philippines shall govern in resolving questions arising from the WSPF. Any question arising in the context of this rules and regulations shall be modified and amended through consultation among the parties. In connection with Article 48 of the AMOSUP IMEC TCCC collective bargaining agreements for Filipino seafarers, a pension fund known as the AMOSUP IMEC TCCC Survivorship Pension Fund Plan (the “Plan”) was established. The aim of this Plan is to provide, through a pension fund to be established by AMOSUP through the AMOSUP IMEC TCCC Survivorship Pension Fund Board of Trustees and with the Trustee for the payment of a fixed regular and reasonable stream of funds for an appropriately limited period of time to help assist the surviving widow/widower or other designated next of kin of Seafarers as part of the benefits under AMOSUP IMEC TCCC covered vessels, subject to the following terms and conditions. This Rules and Regulations governing the Plan shall be effective as of date of its approval and adoption. The following words and phrases, as used herein, shall have the meaning indicated, unless a different meaning is plainly required by the text. (l) Whenever used herein, the masculine pronoun shall be construed to include the feminine gender, the singular number to include the plural, and the plural to include the singular, unless the context indicates otherwise. Any Seafarer who is a member of AMOSUP working on board AMOSUP IMEC TCCC covered vessels as of 1 January 2006 is covered by the Plan as of such date, subject to the provisions of letter (d) Article II of this Plan. Any seafarer not covered by the Plan as of 1 January 2006 and any seafarer thereafter employed under an existing AMOSUP IMEC TCCC after such date, shall be covered by the Plan on the first day of the month coincident with or next following his working on board an AMOSUP IMEC TCCC covered vessel as a Seafarer as defined in letter (d) Article II of this Plan. b) A monthly pension of US DOLLARS: FOUR HUNDRED TWELVE & 50/100 (US$412.50) for a fixed non- extendible period of sixty (60) months in case the deceased Seafarer is an “officer”. Should the death of a Seafarer arise on account of self-inflicted injuries, suicide, or any criminal act attributable to him, no benefit under this Plan shall be paid to the Beneficiary. Every nomination or appointment shall remain in force until the death of the nominee or appointee or until revoked by the Seafarer making it by delivering to the Board of Trustees an instrument of revocation in the prescribed form. In the event of death of his designated beneficiary, the Seafarer may nominate or appoint another person or persons as his beneficiary, in accordance with the foregoing provisions. Should there be more than one designated beneficiary, the benefit shall be shared equally by all of the designated beneficiaries jointly in a single account with the Trustee as provided for under Article IV (Sec.1). Plan shall commence to be paid. When payable, the monthly pension shall be paid to the beneficiary or beneficiaries named by the deceased Seafarer in the existing nomination on file with the Board of Trustee or his presumed beneficiary or beneficiaries as provided for in Sections 1 and 2 above. The funding of the Plan and payment of the benefits hereunder shall be provided for through the medium of a Trust Fund held by the Trustee and covered by an appropriate Trust Agreement. The contributions to the Trust Fund, together with any assets, liabilities, income, gains or losses, less expenses and distributions, shall constitute the AMOSUP IMEC TCCC Survivorship Pension Fund. 2.1 Contribution to the AMOSUP IMEC TCCC Survivorship Pension Fund shall come from the Employers through their respective manning agencies in the Philippines, in accordance with Article 48 of the AMOSUP IMEC TCCC collective bargaining agreement, which provides for a contribution to the Fund at the rate specified in the AMOSUP IMEC TCCC. 2.4 The other details of the process, funding and documentation flow of the monthly remittance of contribution to the Fund and the payment of the pension benefit by the Fund not otherwise inconsistent herewith shall be made in accordance with, but not limited to Appendix “1” hereto, which is an integral part of this Plan. All contributions made to the Trust Fund shall be used for the exclusive benefit of the Seafarers’ beneficiaries and for related administrative expenses under the Plan as approved by the Board of Trustees. Contingent upon expected Fund liability, the Board of Trustees may extend assistance under this Plan at appropriate amounts it may determine to the beneficiaries of those Seafarers who died on board other vessels but have accumulated sea service under the AMOSUP IMEC TCCC of at least five years on board covered vessels. Although it is expected that the Plan will continue indefinitely, it may be modified, amended, suspended, or terminated at any time by the Board of Trustees as economic conditions may warrant or as may be provided for in the AMOSUP IMEC TCCC. In no case, however, shall such modification, amendment, termination or suspension be effected in order to permit any asset of the Trust Fund to be used for, or diverted to, purposes other than for the exclusive benefit of the Seafarers Beneficiaries and for related administrative expenses under the Plan as approved by the Board of Trustees, nor shall it be applied retroactively so as to adversely affect or reduce in any way the benefit accrued to any Seafarer Beneficiaries on account of service prior to the date of such amendment, suspension or termination. In no event shall any part of the assets of the Trust Fund revert to AMOSUP or the Seafarers’ employers. The Plan will be administered and implemented by the Trustee Bank in accordance with this Rules and Regulations and such other rules, guidelines and terms of reference as may be issued by the Board of Trustees. 2.3 In case of the termination of the Plan under Article VII when after all liabilities under the Plan have been paid, all residual assets of the Fund shall be distributed in accordance with the instructions of the Board of Trustees provided that such residual assets shall not revert to AMOSUP or the Employers but shall be used for the benefit of the Seafarers. No benefit payable under this Plan shall be subject in any manner to anticipation, alienation, sale, transfer, assignment, pledge, encumbrance, or charge and any action by way of anticipating, alienating, selling, transferring, assigning, pledging, encumbering or charging the same shall be null and void. 4.1 No Seafarer or beneficiary shall have the right, title or interest in or to any part of the assets of the AMOSUP IMEC TCCC Survivorship Pension Fund except as and to the extent expressly provided in the fund Plan. 4.2 Any person having a right or claim under the Plan shall look solely to the assets of the AMOSUP IMEC TCCC Survivorship Pension Fund. Nothing contained in these Rules and Regulations shall be deemed as a limitation on the inherent management powers and prerogative of the Board of Trustees. The Board of Trustees shall appoint an independent auditor to perform an annual examination of the books of accounts of the Plan and Plan funds, and at such other times as may be determined by the Board of Trustees. Following the audit, the Board of Trustees shall make available copies of the audited financial report to concerned parties. Whatever benefits may be due to the Seafarer on account of the Social Security Act and the Employee’s Compensation under the State Insurance Fund as provided for in the Labor Code existing as of the effective date of the Plan shall not be deducted from the benefit granted under this Plan. The Rules and Regulations of the Plan have been designed to meet the requirement of the Bureau of Internal Revenue regulations as a tax-qualified plan. AMOSUP reserves the right to amend any provisions of the Plan in order that it may obtain and/or maintain its tax-qualified status in accordance with the present and future Bureau of Internal Revenue Regulations. The laws of the Republic of the Philippines shall govern in resolving questions arising from the Plan. Approved and adopted by the AMOSUP IMEC TCCC Survivorship Pension Fund Board of Trustees this 17th day of May, 2006, Manila, Philippines. Associated Marine Officers’ and Seamen’s Union of the Phils. Atty. Jesus P. Sale, Jr.
International Maritime Employers Committee, Ltd. In connection with the Norwegian International Ship Register (NIS) Collective Bargaining Agreements and the Norwegian Model Collective Bargaining Agreements for Filipino seafarers, a pension fund known as the AMOSUP-Norwegian Survivorship Pension Fund Plan (the “Plan”) was established. The aim of this Plan is to provide, through a pension fund to be established by AMOSUP through the AMOSUP-Norwegian Survivorship Pension Fund Board of Trustees, for the payment of a fixed regular and reasonable stream of funds for an appropriately limited period of time to help assist the surviving widow/widower or next of kin of Filipino Seafarers who are AMOSUP members as part of the benefits under NIS CBAs covering NIS-registered vessels and Model Agreements covering Norwegian-owned, operated and managed vessels, subject to the following terms and conditions. These Rules and Regulations governing the Fund shall be effective as of 1 March 2010. (d) “Seafarer” means any Filipino seafarer, whether an officer or rating, who is covered by a NIS CBA or a Norwegian Model Agreement. (e) “Employer” shall mean the employers of Seafarers working on board NIS-registered or Norwegian-owned, operated and managed vessels. Whenever used herein, the masculine pronoun shall be construed to include the feminine gender, the singular number to include the plural, and the plural to include the singular, unless the context indicates otherwise. Any Seafarer who is a member of AMOSUP working on board a NIS-registered or Norwegian-owned, controlled or managed vessel covered by an existing NIS CBA or Norwegian Model Agreement as of 1 March 2010 is covered by the Plan as of such date, subject to the provisions of letter (f) Article II of the Plan. Any seafarer not covered by the Plan as of 1 March 2010 and any seafarer thereafter hired after such date, shall be covered by the Plan on the first day of the month coincident with or next following his working on board a NIS-registered or Norwegian-owned, controlled or managed vessel as a Seafarer under an existing NIS CBA or Norwegian Model Agreement, subject to the provision of letter (f) Article II of the Plan. The foregoing rate shall be subject to review and may be increased by the Board of Trustees. A Seafarer shall, upon being covered by the Plan, forthwith nominate in writing, in such forms and/or such manner as shall be prescribed by the Board of Trustees, a person or persons to receive the amount which may be due him in case of his death from among those enumerated hereunder in the order specified. c) The surviving parents or parent, in case the seafarer is unmarried. The nomination must be made and executed in accordance with existing laws. Every nomination or appointment shall remain in force until the death of the nominee or appointee or until revoked by the Seafarer making it by delivering to the Board of Trustees an instrument of revocation in the prescribed form. In the event of death of his designated beneficiary, the Seafarer may nominate or appoint another person or persons as his beneficiary. 3.1.On the death of a Seafarer while working on board the ship or vessel, the monthly pension shall be made payable to the beneficiary or beneficiaries named by the deceased Seafarer in the existing nomination on file with the Board of Trustees or his presumed beneficiary or beneficiaries as provided for in Section 2 above. The funding of the Plan and payment of the benefits hereunder shall be provided for through the medium of a Trust Fund, to be held, managed, and administered by a Board of Trustees. The contributions to the Trust Fund, together with any assets, liabilities, income, gains or losses, less expenses and distributions, shall constitute the AMOSUP-Norwegian Survivorship Pension Fund. 2.1 Contribution to the AMOSUP-Norwegian Survivorship Pension Fund shall come from the Employers, thru their respective manning agencies in the Philippines, in accordance with the 2 March 2010 Protocol among AMOSUP, the Norwegian maritime Unions and NSA, which provides for a contribution to the Fund at the rate of US$5.00 per seafarer per month. 2.2 Within 15 days after the end of the previous month, the Fund Secretariat will issue Statement of Accounts/ Invoices to the Employers for the previous month, indicating therein the total amount of contributions due based on the total number of covered ships and crew for the period, including the list of remitting manning agency/agencies. 2.3 The Fund Secretariat will transmit one (1) copy of the monthly statement of account in Sec. 2.1 to the Norwegian Maritime Unions/FIL-NORGAIN and another copy to NSA for information. 2.4 Within fifteen (15) days from receipt of the monthly statement of account in Sec. 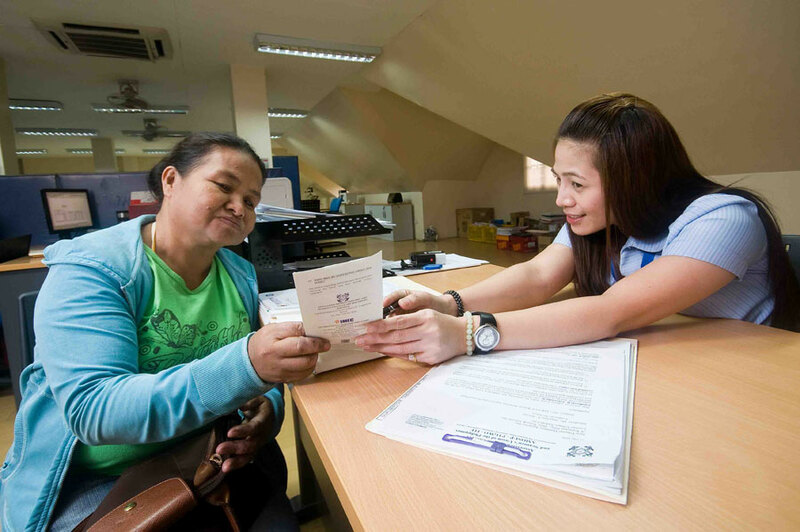 2.1, the Employers will remit their total due monthly contributions to their respective manning agent/s in the Philippines. 2.6 The NSA, as far as member companies are concerned, shall provide the necessary assistance in ensuring that remittances to the Depositary Bank are properly and timely made. 2.7 The total monthly remittances to the Fund shall be exclusive of any bank fees, charges and expenses whatsoever, which fees and expenses shall be for the account of the remitter. All contributions made to the Trust Fund shall be held solely and exclusively for the benefit of the Seafarers or their beneficiaries, and no part of said Trust Fund shall be used for, or diverted to, purposes other than for the exclusive benefit of the Seafarers or their Beneficiaries. Contingent upon expected Fund liability, the Board of Trustees may extend assistance under this Plan at appropriate amounts it may determine to the qualified beneficiaries of those Seafarers who died on board other vessels but have accumulated sea service under the NIS CBA or Norwegian Model Agreement of at least five (5) years on board covered vessels. Although it is expected that the Plan will continue indefinitely, it may be modified, amended, suspended, or terminated at any time by the Board of Trustees as economic conditions may warrant. In no case, however, shall such modification, amendment, suspension, termination or suspension be effected in order to permit any asset of the Trust Fund to be used for, or diverted to, purposes other than for the exclusive benefit of the Seafarers or their Beneficiaries, nor shall it be applied retroactively so as to adversely affect or reduce in any way the benefit accrued to any Seafarer on account of service prior to the date of such amendment, suspension or termination. In no event shall any part of the assets of the Trust Fund revert to AMOSUP or the Seafarers’ employers. The Plan will be administered by a Board of Trustees in accordance with the Rules and Regulations and such other rules, guidelines and terms of reference as said Board may issue. 2.2 The Board of Trustees shall set rules, guidelines and terms of reference for remittance collection, general fund administration, investment and management and pension annuity payments of the Fund. It shall authorize the engagement of Fund administrator/s, investment manager/s, payments agent/s and such other agent/s as may be required and necessary to implement and achieve the purposes of Fund. 4.1 No Seafarer or beneficiary shall have the right, title or interest in or to any part of the assets of the AMOSUP-Norwegian Survivorship Pension Fund except as and to the extent expressly provided in the Plan. 4.2 Any person having a right or claim under the Plan shall look solely to the assets of the AMOSUP-Norwegian Survivorship Pension Fund.